The Kallang Theatre started out as the largest cinema in Singapore in the 1970s. In 1986, it was converted for use as a live performance theatre and as a venue for concerts, drama performances, and large congregational and ceremonial functions. Many will remember it as the theatre that staged classic shows like Les Miserables, Phantom of the Opera, Cats, Miss Saigon, Joseph and the Amazing Technicolor Dreamcoat, Chicago the Musical and events like the annual National Day Rally, the International Festival of Magic and so on. Many living back in the era regarded the Kallang Theatre as a milestone and an iconic venue. 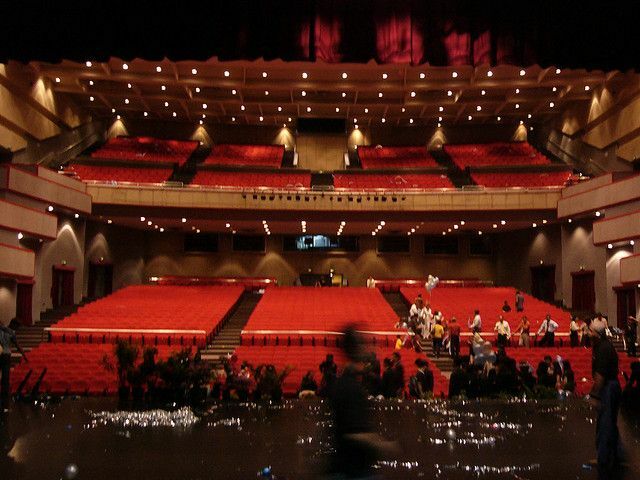 The 1680-seat auditorium and backstage are fully air-conditioned. The stage has a proscenium width of 15m and an area of 252 sq. m. It is equipped with up-to-date lighting and sound equipment and has an electronically operated orchestra pit. Other facilities within the Kallang Theatre complex include sufficient dressing rooms for artistes, a very large foyer for art-related exhibitions, reception rooms, dance halls, restaurants and an internal car-park for 200 cars. It is a convenient location with the MRT station right at its doorstep. Kallang Theatre was revived in 2011 to be an Asian Arts and Culture hub. Asia Arts & Culture Pte Ltd, the management of Kallang Theatre is tasked with the revival of Kallang Theatre and to bring patrons a bevy of performances and cultural activities to reminisce on the successful rise of Singapore with its inaugural musical show – “Singapura – The Lion City”.